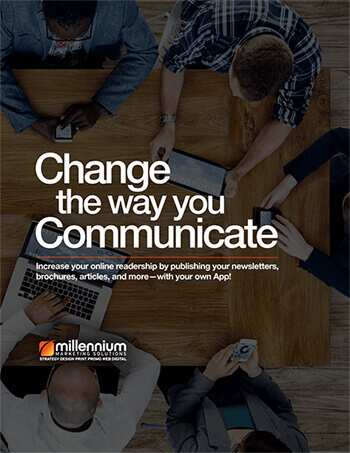 Millennium is here to help you convert all of your print material into digital formats that can be published in apps for Apple, Google, and Amazon stores on the web. Digital publishing is the future, make sure you stay ahead of your competition. Let Millennium help you create your next digital piece of collateral. Find out more here, by reading our digital publishing brochure.